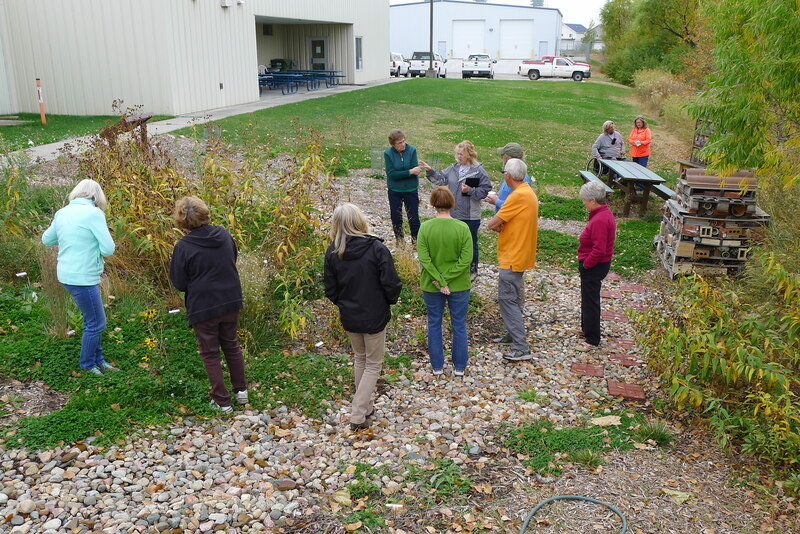 Today the Cherry Creek Pollinator Habitat hosted a Master Gardener Lunch & Learn. Master Gardeners brought their lunch, toured the habitat and learn more about our bee structures and plant selection for pollinators. 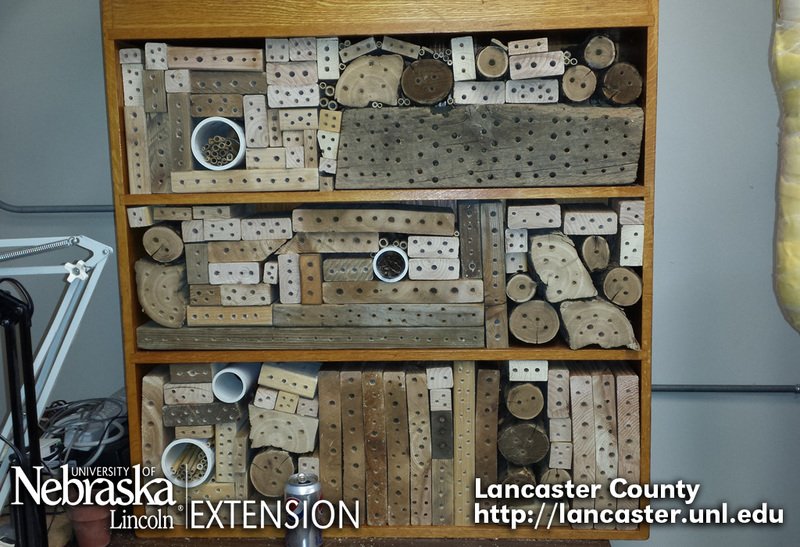 They constructed a solitary bee nest to place in their home landscape next year from recycled and repurposed items. 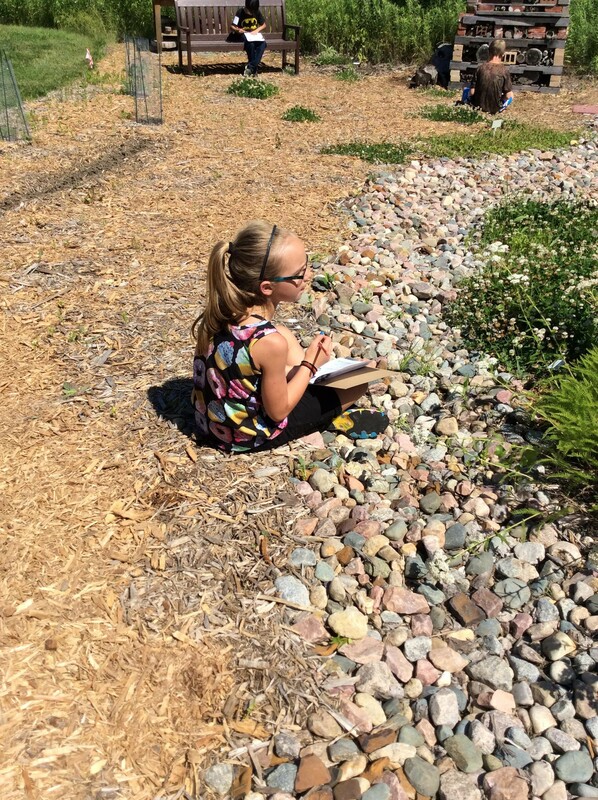 Master Gardeners also made nature journals and spent time in the pollinator habitat observing nature. 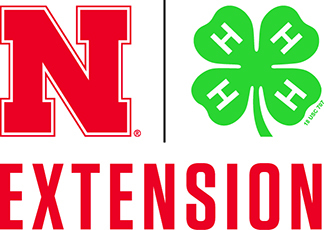 The Cherry Creek Habitat is the perfect place to lunch and learn. 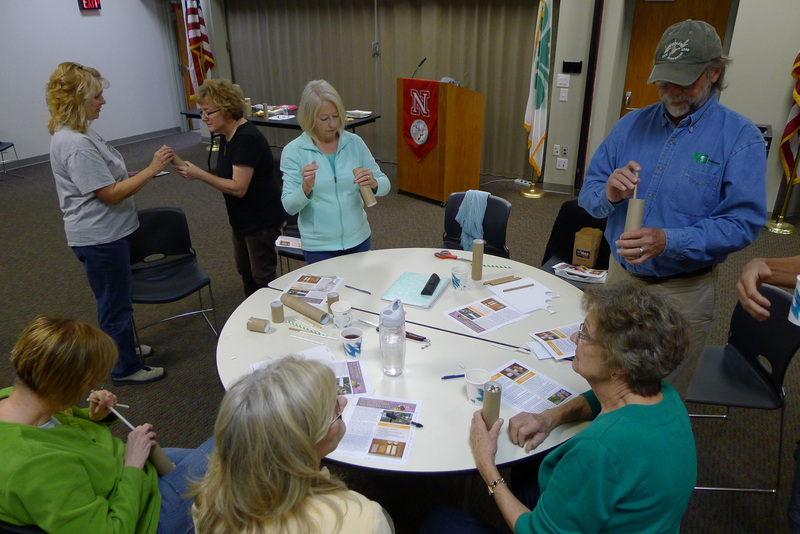 Master Gardeners make solitary bee nests. 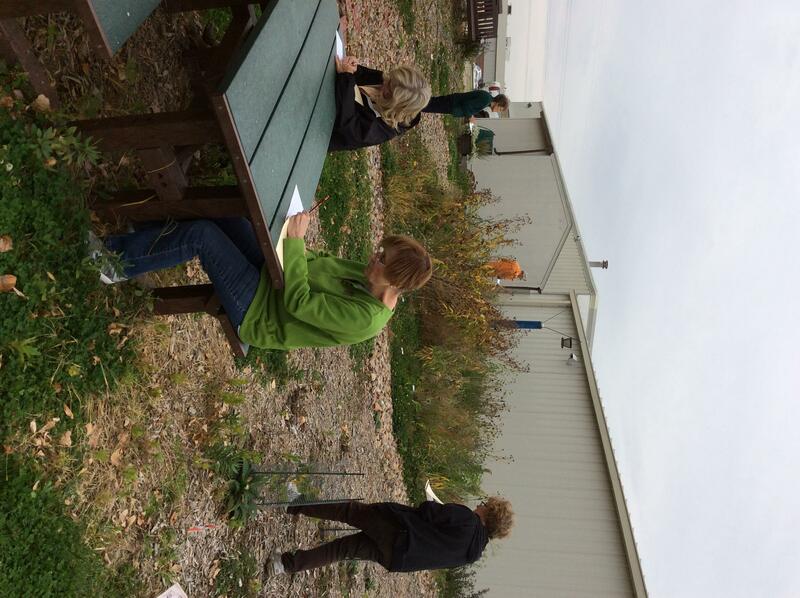 This morning Soni and I taught 4-H youth about pollinators in the Cherry Creek Pollinator Habitat. All week our office is hosting Clover College. 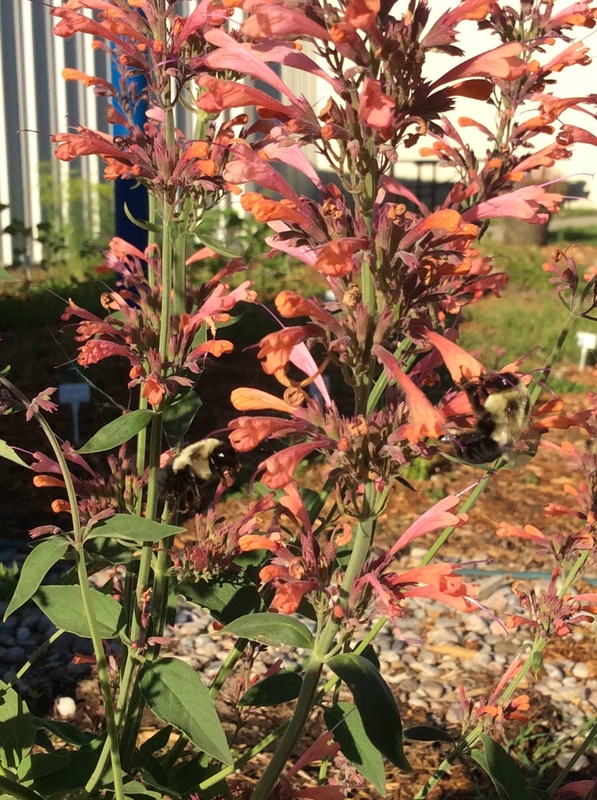 For our Habitat Discovery session, youth did nature journaling, planted native plants in the habitat, planted sunflower seeds, installed a bee water source and made bee nesting tubes bundles for the bee nest box structure and insect hotel. 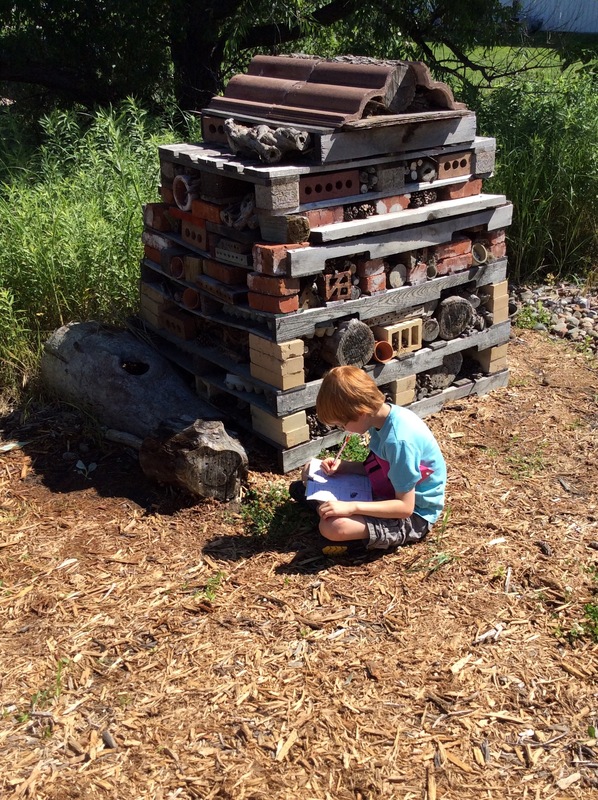 At the end of the session the youth made nature journals and took home their own bee nest box to put in their landscape. 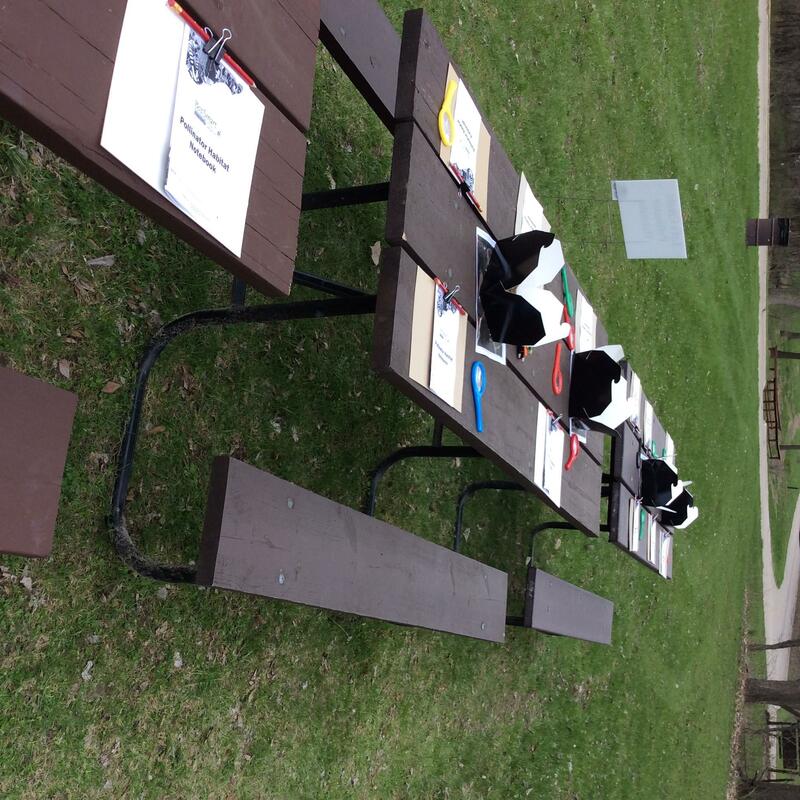 Spending time educating youth about pollinators was a great way to finish Pollinator Week! 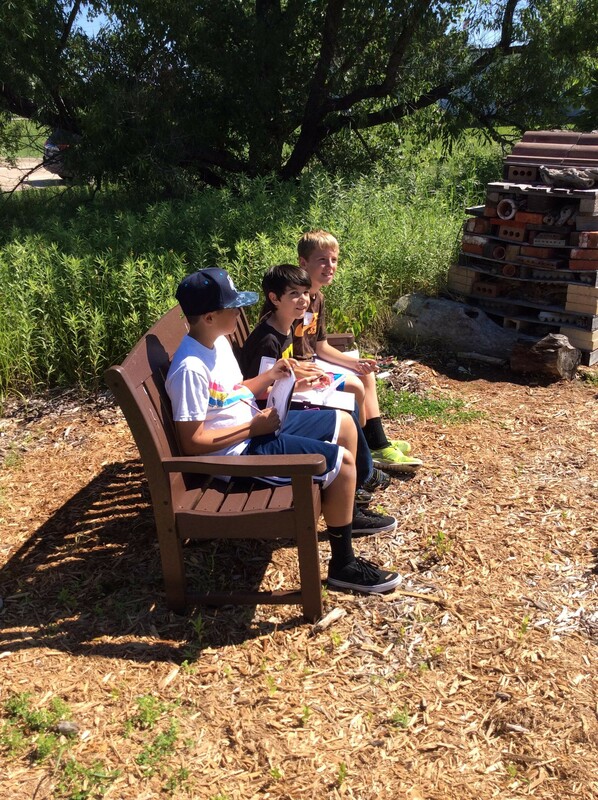 Boys on new bench in habitat. 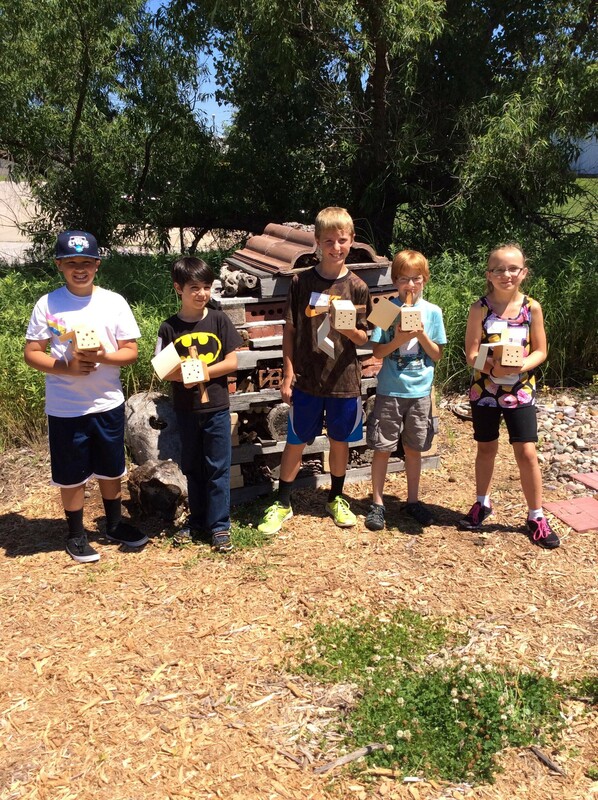 Youth with their new bee houses to take home.